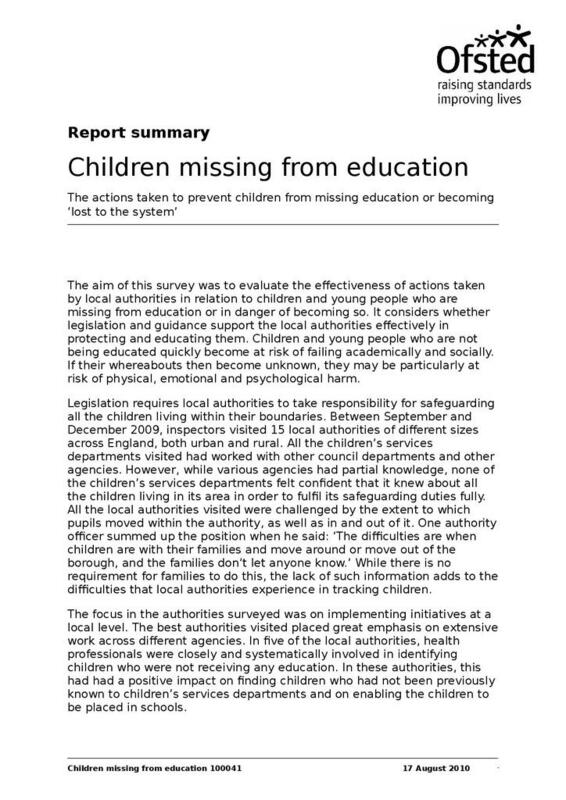 The aim of this survey was to evaluate the effectiveness of actions taken by local authorities in relation to children and young people who are missing from education or in danger of becoming so. It considers whether legislation and guidance support the local authorities effectively in protecting and educating them. 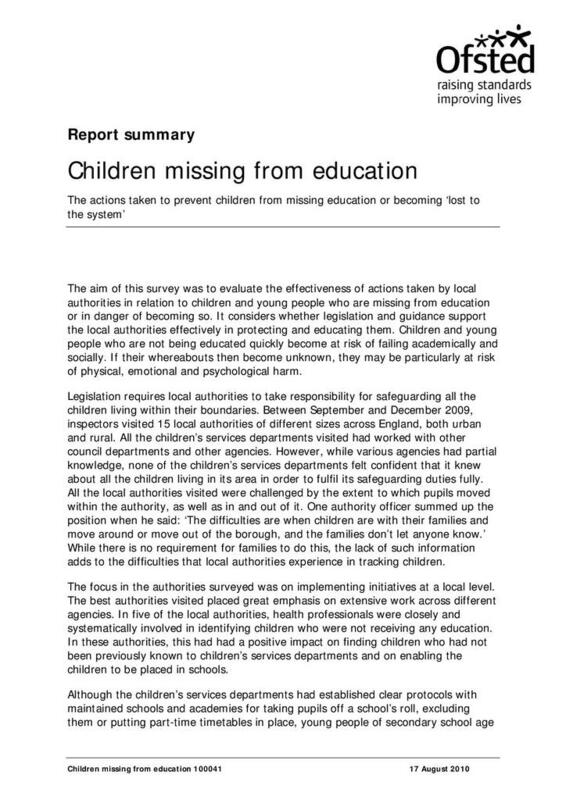 Children and young people who are not being educated quickly become at risk of failing academically and socially. If their whereabouts then become unknown, they may be particularly at risk of physical, emotional and psychological harm.